After clawing my way through traffic for an hour I finally made it to Seattle Center, home of the iconic Space Needle. I parked my truck just down the street, in the bowels of some multi-level, underground parking garage, then walked to the Space Needle where I paid the $12.00 fee to ride the elevator to the top. I was rewarded with a 360° panoramic view from 600 feet above the city including views of downtown, Seahawks Stadium, Puget Sound and the towering Mount Rainer, the highest mountain in the continental United States. If you’re planning a visit here you should make reservations at SkyCity, the restaurant that rotates at the 500 foot mark of the Space Needle. Back on the ground, at the base of the Needle, I snapped a few pictures of these glass sculptures by famed artist Dale Chihuly who has created a permanent exhibit here at Seattle Center by creating an enormous glass flower garden. I didn’t feel like paying the $18.00 admission fee to see the entire exhibit. Across the street I paid the $22.00 entrance fee to check out the EMP Museum. The EMP stands for Experience Music Project. This other-worldly building, initially based on cut up pieces of electric guitars, was designed by famed architect Frank O. Gehry. 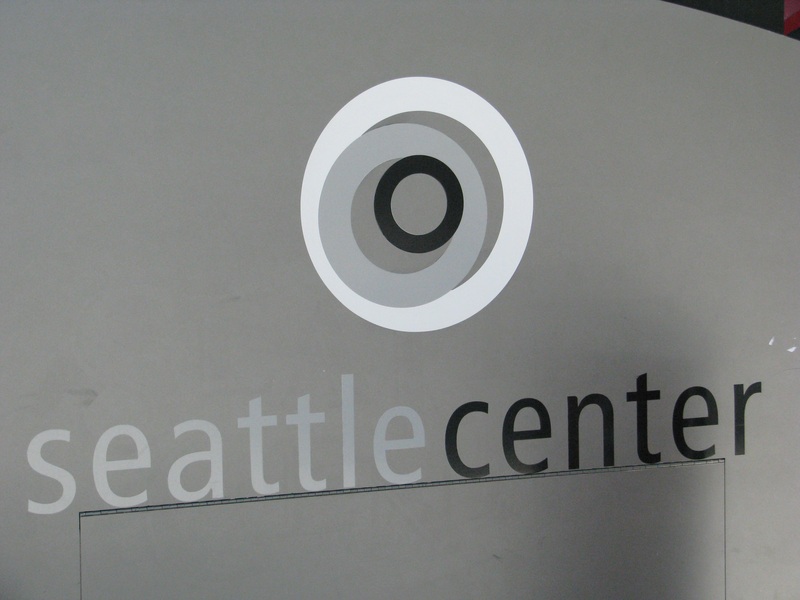 This non-profit museum houses exhibits featuring cultural items from the worlds of fantasy, myth, magic, movies, TV and music, with displays featuring some of Seattle’s biggest musical names like Jimi Hendrix, Nirvana, Heart, Macklemore & Ryan Lewis and many others from the 90’s grunge era that grew out of the Seattle music scene. Check this out! 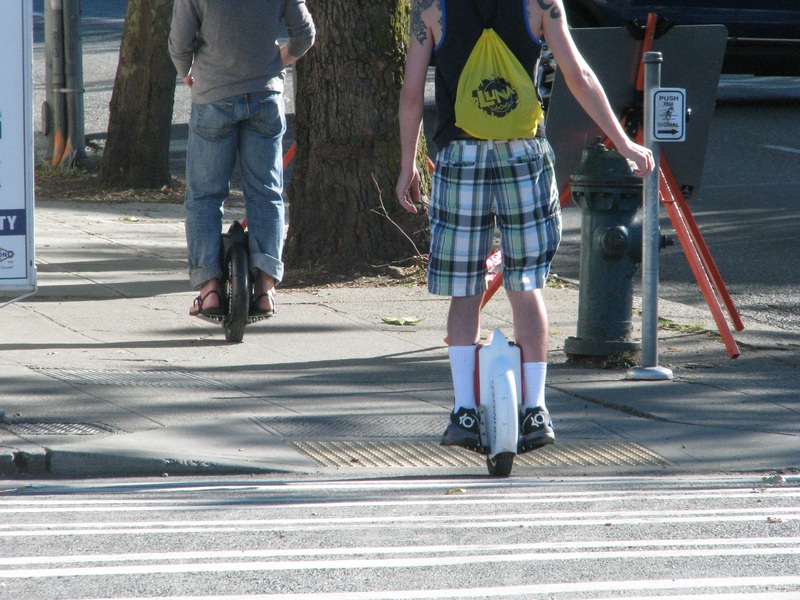 They’re riding on a SoloWheel! After the rush hour I exited Seattle via Tacoma and boondocked in Olympia. I hope you wave to children on school buses.